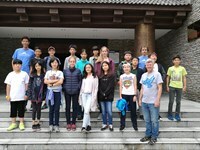 On our way up to the "Four Sisters National Park" we stopped at the Wolong Panda Museum after lunch where we went on an interesting and very informative tour with a local guide. We learnt a lot about ecology and geology of the Longmen mountain range that surrounds Chengdu, its flora and fauna and the destructive earthquake that occurred in 2008. 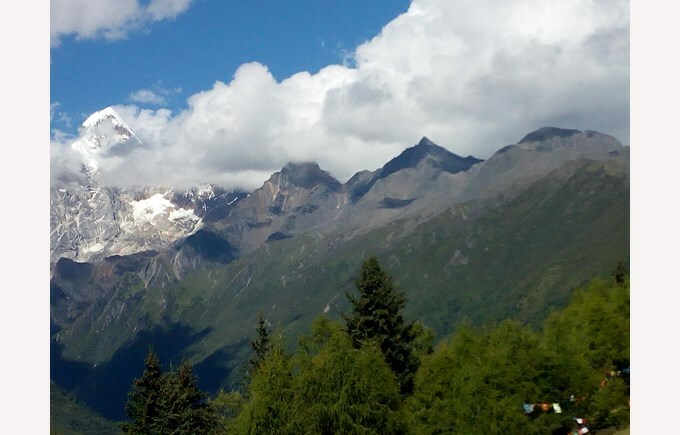 On our first day in the national park we went on a day trek up Changping Valley. After a visit of the beautiful Lama Monastery where our guide Gongbo taught us a lot about Tibetan Buddhism, we hiked up to the Lower Dry Pond at 3500 m where we had a picnic lunch. The track up to the ridge was steep and we had to work hard to get there. At the top we had lunch, played some games and hung out for a while. From this ridge we could see all four of the Sisters. We could also see the changes in vegetation as the mountains got higher. There are trees on the lower slopes, then small bushes higher and only stones ate the very top. The weather was very pleasant which made being there enjoyable.